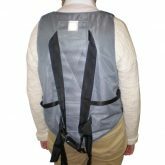 The Magnet Vest Harness is available in 6 sizes and is fitted to the passenger before boarding the car or bus. 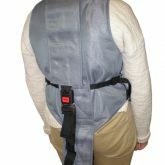 Fit the harness within the home, school or unit and then introduce the passenger to the vehicle where you buckle the rear fixing straps and tension to secure. Use the ‘Magnet Key’ to easily open the buttons. 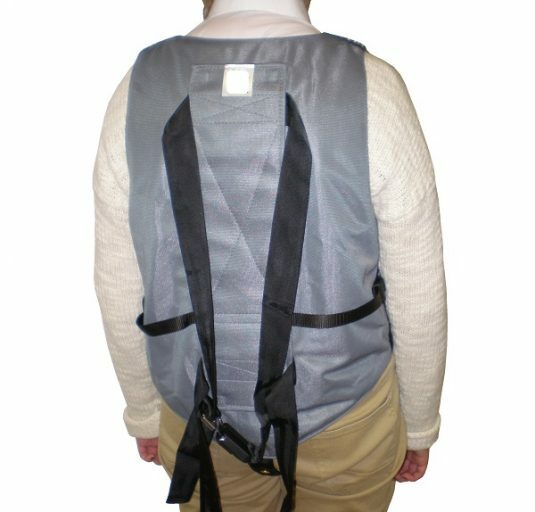 The Magnet Vest is comfortable to wear, while the ‘Magnet Buttons’ which close the harness front cannot be opened by the wearer. 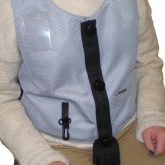 The vest profile minimises the risk of the user getting their arms out, so can be very effective for the more active passenger. 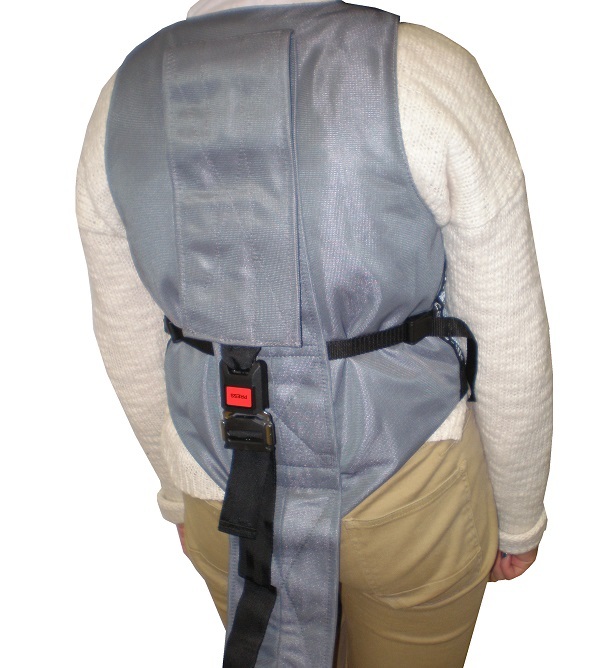 Available with either horizontal or vertical fixing straps, to suit seat type. Ideal for both private and organisational use. • Buckles at the rear of the seat. 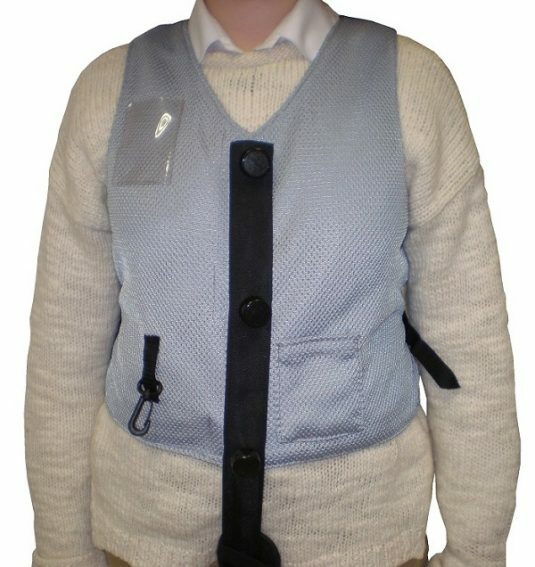 • Vest / jacket type fitting. 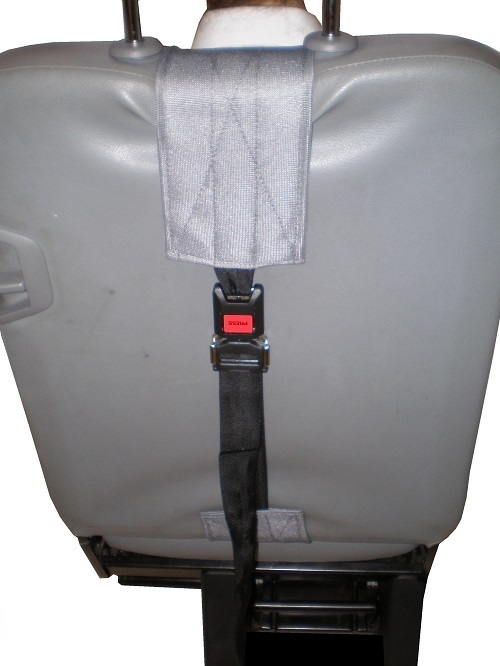 • Fitted to user while outside the vehicle. 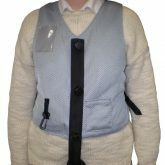 • Magnetic buttons cannot be opened by wearer. • Available for variety of seat types. 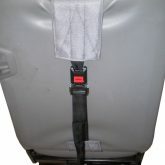 • Suitable for bus and some car applications. 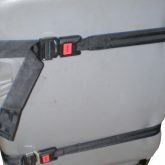 • 6-sizes (horizontal fixing straps). • 5-sizes (vertical fixing straps).